Come summer, people may suffer from extreme heat wave and many may hate it. However movie lovers love it because they can enjoy sumptuous treat in a cool manner as almost all top stars try to entertain them cashing on to the summer holidays. Many top stars films are lined up for summer release but what is surprising all is silence from the filmmakers about their films. All eyes are on super star Mahesh Babu's 25th film Maharshi which is slated for a grand release on April 5. Till now the makers did not come up with any official announcement. 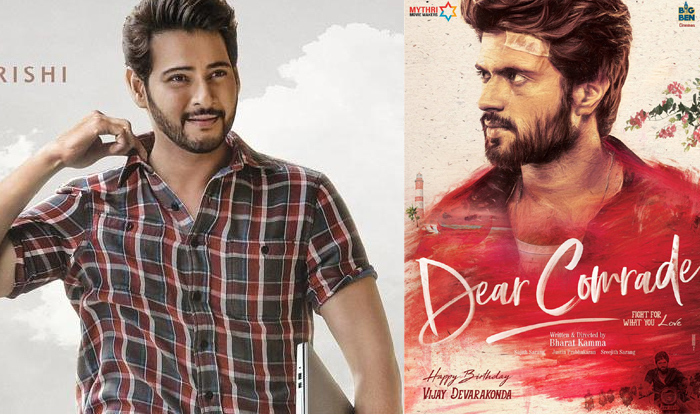 Genex star Vijay Devarakonda's Dear Comrade is also much talked about. Natural Star Nani's Jersey is slated for April 19th. But till now makers of both the films are yet to announce the release date. Naga Chaitanya and Samantha's Majili is touted for release on March 5th but even they are surprising without starting their promotions. Niharika Konidela's Suryakantam is slated for March 29th release and Sharwanand's film is also in news along with Allu Sirish's ABCD. But till now no news is coming from the makers disappointing movie lovers. Same is the case with dubbing films Surya's NGK and Kanchana 3.